While designers such as Emilio Schuberth, Roberto Cupucci and Emilio Pucci are lauded as the pioneers of the post World War II Italian fashion revolution, it is fascinating to note a whole generation of female designers who emerged and worked at the same time, yet whose enormous impact has been largely forgotten. A new exhibition at the V&A, titled The Glamour of Italian Fashion, serves in part to restore these lost reputations. One of the most notable examples are the Sorelle Fontana (the Fontana Sisters), whose tale is as incredible as the beautifully tailored, delicately embellished dresses they were famous for. Born and raised in the small village of Traversetolo between 1911 and 1915, sisters Zoe, Micol and Giovanna had high aspirations from an early age. Hailing from a family of dressmakers, as young teenagers they would help sew dresses for the women of the village, but they were itching to free themselves from the confines of small-town life. Zoe was the first to act, and in the early 1940s, she packed up her bags and headed to the station, opting to take the first train to any big city that came along; that train was to Rome. Shortly after she summoned her sisters, and so began their Cinderella-esque rise to fame. The sisters struggled to find their feet at first, but through the patronage of Gioio Marconi, daughter of renowned scientist and inventor Guglielmo Marconi, their dresses soon caught the attention of the upper echelons of Italian society, including – vitally – that of Hollywood star Linda Christian, who commissioned them to design her wedding dress for her marriage to actor Tyrone Power in 1949. The Roman wedding was one of the most talked about of the era. Images of Christian in her stunning damask gown, made from fifty yards of golden satin, made the front page of newspapers worldwide, and soon the whole of Hollywood wanted to know how to get hold of a Sorelle Fontana. Wedding dresses remained their trademark from then on. Soon the sisters’ atelier – tucked discreetly down a side street next to the Spanish Steps – became a hub of activity, and by 1950 had over a hundred employees. 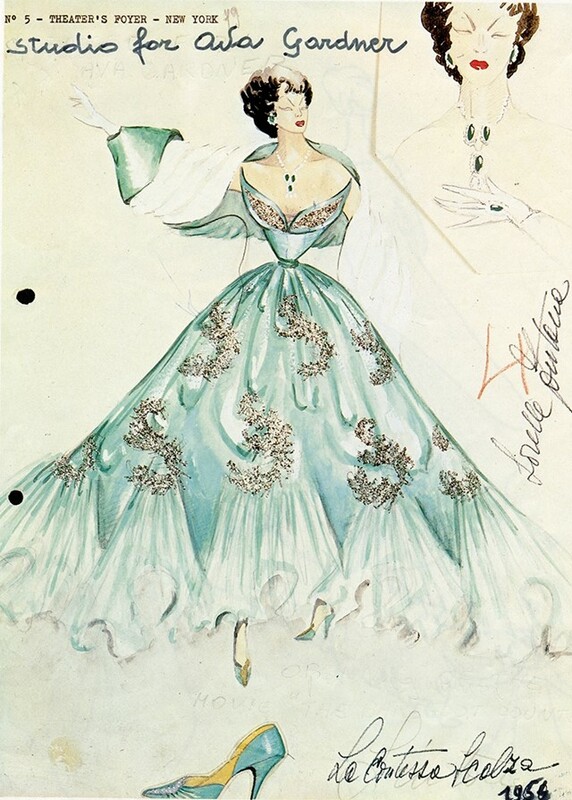 Along with Emilio Schuberth and Roberto Capucci, the Sorelle Fontana were redefining the "Made in Italy" label, creating clothing to rival the French Haute Couture. 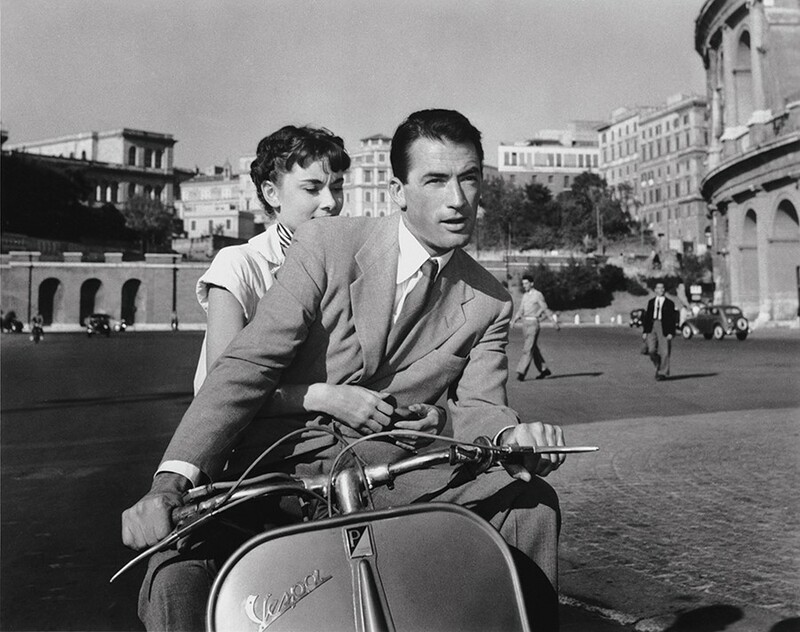 The 40s and 50s have been dubbed Rome's "Hollywood on the Tiber" period, as the city garnered a popularity tantamount to its Grand Tour heyday, and became a key filming location thanks to the success of the renowned Cinecittà Studios. 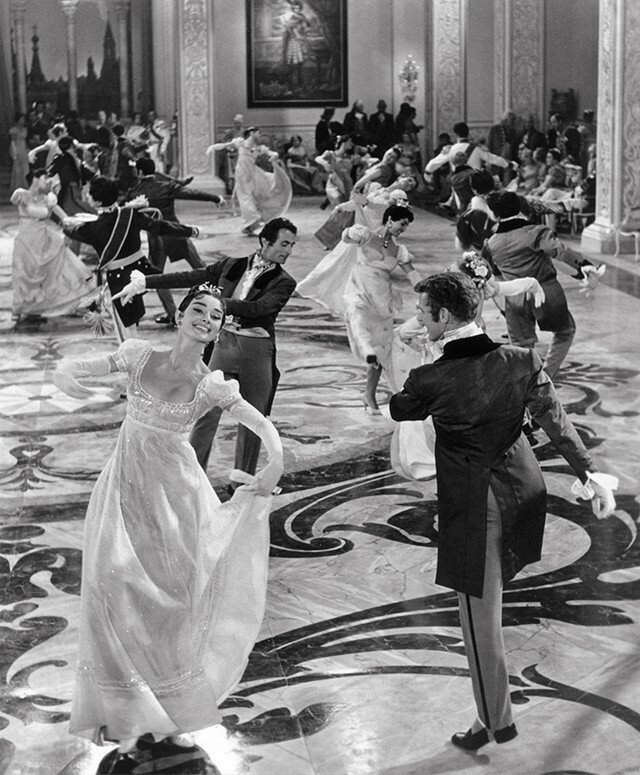 The Sorelle Fontana also found favour among film producers, and were behind Audrey Hepburn's gorgeous costumes for Roman Holiday. At this time Hepburn was engaged to British businessman James Hanson, and enlisted the sisters to design her gown. The wedding was called off shortly after, and the sweet-natured Hepburn gave the intricate ivory satin dress back to the Fontanas telling them to pass it on to the first girl in their atelier to be married. Their other loyal devotees included Vivian Leigh, for whom they designed solely white pieces to match her entirely white apartment; Jackie Kennedy, who paid the atelier a surprise visit, with JFK in tow as her sartorial advisor; and Ava Gardner, who struck up a lifelong friendship with the sisters (she would invite Micol over for dinner and cook while being fitted). The Sorelle Fontana created Gardner's costumes for hit films The Sun Also Rises and The Barefoot Contessa, including the iconic and controversial "pretino" dress for the latter (based on a priest's cassock, and complete with a giant rosary) which was later referenced by Piero Gherardi for Anita Ekberg's enticing costume in Fellini's La Dolce Vita. The Sorelle Fontana were not alone in their trailblazing approach to design. Similar success stories apply to the likes of important couturier Fernanda Gattononi, who similarly dressed many actresses, from Lana Turner to Ingrid Bergman, as well as creating Audrey Hepburn’s costumes for War and Peace. Other big names include dressmaker Maria Antonelli, who wowed with her minimalist silhouettes which pre-empted the 60s trend; and Albertina Giubbolini, the woman behind pioneering knitwear atelier Albertina, revered for its covetable knitted outerwear and suits in vibrant colours. A selection of key pieces by these remarkable designers can be seen in the V&A exhibition, opening next month, which will offer an uniquely extensive and glamorous look into Italy’s rich fashion history from the Second World War to the present day. The Glamour of Italian Fashion 1945-2014, sponsored by Bulgari, runs from 5 April - 27 July 2014 at the V&A. For more information and tickets, visit www.vam.ac.uk/italianfashion​.